After the first couple of listens, I thought this record was pleasant enough but nothing too special. But it suddenly dawned on me about 3 weeks after I got it...I still wanted to listen to the damn thing! Now this is no small achievement, as even records I like quite a bit may only get played 5 or 6 times after the initial purchase. But there was something about "Day of Silver Sun" that snagged me pretty good. So, in the final analysis, I have to admit it: this is a very good record. NLE is a band formed by Lillian Axe mainman Stevie Blaze to allow him to perform music he could never do with the pop metal oriented Lillian Axe. The predominant feeling of NLE is a heavy, spacey vibe akin to a heavy metal Pink Floyd. Tool would be another point of reference. In fact, listening to the CD, I heard traces of bands ranging from Type O Negative to the sadly neglected Galactic Cowboys. The band certainly knows the value of a strong chorus, as tracks such as "Change Your Mind", "Retrieve the Bodies" and "We're All So Strange" prove. They each offer up some extremely catchy hooks, with the latter tune in particular having an almost Beatlesque sense of melody. Though the album is quite heavy and doomy, it lacks the rawness of true doom bands such as High On Fire and Electric Wizard. This is a very polished product. Also, Stevie is a lot better guitarist than he is a singer, as his vocals were a little on the bland side. So I'd say NLE still has a few mountains to climb. But really, any band that has me checking out their debut regularly a month after I've gotten it has got a lot in their favor. 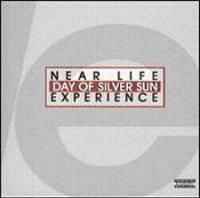 I strongly recommend "Day of Silver Sun" to those looking for music that is heavy yet ethereal. This is a surging, heavy cut with a killer driving riff. It comes across like prime Alice In Chains with a kind of cosmic vibe. Maybe it's not the most original tune but it rocks like nobody's business. Beginning with some cool pounding guitar chords, this continues the heavy approach of "Mother". Blaze's vocals take more of a singsong angle here. It has a very catchy chorus with some aggression to it. There's a kind of drastic slowdown in the middle where the song sounds almost sweet for a while before returning to the heavier mood. The opening of this one is almost gothic with its layers of mournful guitar noise. The overall effect is very gloomy, and this reminded me a little of Tool's dark approach. It's not as instantaneous as some of the other tracks but builds a lot of intensity. This shows how NLE can mix simple heaviness with a spacey approach. The raw guitar pounding that opens the cut is about as basic as it gets, but the vocal lines over the riff add a lot of interest. "Cosmic grunge" is what I'd call this. This is one of the CD's more rocking cuts. It's got plenty of maximum guitar crunch while Blaze's vocals seem almost like a mystic chant. The power riffing on the chorus is absolutely killer! It's the most overtly heavy song on display here. Beginning with gentle acoustic, this is reminiscent of the earlier "Cradle by the Sea" as it conjures up a similar mournful feel. Again, the band show their chops with a cool chorus section that has a majestic touch to it. Blaze puts in his best vocal performance of the record. This is a brief acoustic interlude with a faint Spanish flavor to it. The title track comes at you from a number of different angles and throws a lot of riffs at you in the first minute alone. I'm again reminded of Alice In Chains. The vocal hooks are once again very enticing. The opening of this tune cuts too close for comfort to Pink Floyd's "Dark Side of the Moon", utilizing the same gentle but eccentric approach. This time the band is too similar to its inspiration. The heavy, psychedelic chorus helps things a bit but the track runs too long. The record hits a dry patch with this one. I usually like heavy Middle Eastern riffs but the ones here leave me cold. I just didn't think the catchiness of the other songs was here. There's a laid-back jazzy feeling to the opening of this cut, giving it a mysterious touch. I was almost reminded of The Beatles' "She's So Heavy" during the chorus! Anybody who recalls the "metal crunch meets poppy hook" style of the Galactic Cowboys will like this one. It's more aggressive and metallic than the last few trippy cuts, but the vocal lines are really cool. It has a killer heavy chorus with that Galactic Cowboys approach. This is more "cosmic grunge" with a throbbing, heavy crunch to it. There's some pretty weird, ominous stuff going on during the chorus. The track has its good points but gets too dragged out and monotonous.